Because this is a World Cup year, I have decided to countdown to the tournament by providing a short soccer/fitness related preview of each of the 32 participating nations. In this installment, I will look at Portugal, a talented European team that has been drawn in Group G, largely considered the “group of death”. Group G includes Germany, Ghana, and the United States, and Portugal will they play their first match against Germany on June 16th. Portugal struggled somewhat in qualification, relying a 2-game play-off against Sweden, which they won by an aggregate score of 4-2. The star of the Potuguese team, and also one of the best and most talented players in the world, is Cristiano Ronaldo, and he proved his worth by scoring all 4 of Portugal’s goals in the 2-game series against Sweden. Ronaldo is a unique player, in that he possesses world class abilities both on the ball, as well as physically. He has a combination of speed, strength, agility, jumping power, and aerobic endurance, that makes him almost impossible to stop over a 90-minute game, on the ground or in the air. As he proved in the play-off against Sweden, he is capable at times of almost single-handedly lifting the Portuguese team to a victory. The video in the link here was made by Castrol ‘Edge’, in conjunction with a sports science lab in England. In it, Ronaldo’s physical abilities (running speed, agility, leg power, strength, and balance) are tested using state-of-the-art equipment. He is also assessed in comparison to elite level track and field athletes (some of whom have better running/jumping form and technique than he does). Differences in technique aside, Ronaldo performs surprisingly well, even when compared to elite athletes in sports where running and jumping is the only necessary physical ability. In my opinion, Ronaldo is the fittest player in the world. His performances in this video, as well as on the pitch, provide strong evidence in support of this. As mentioned previously, he is a player who is capable of taking control of a game, and can win games almost himself. In order for the Portuguese to get out of the group of death, they may need him to do just that. We will have to wait and see what happens in 3 weeks’ time. Because this is a World Cup year, I have decided to countdown to the tournament by providing a short soccer/fitness related preview of each of the 32 participating nations. 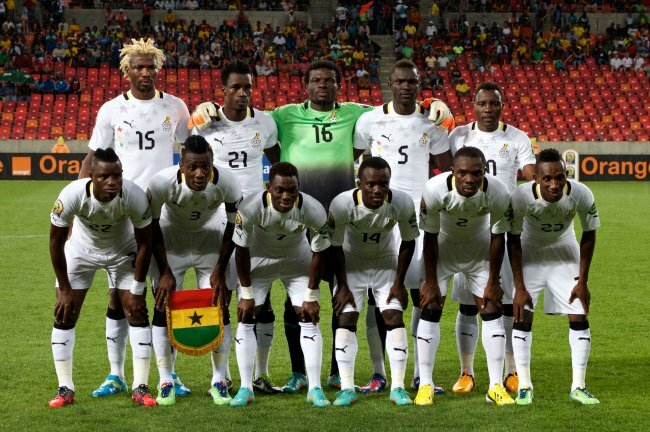 In this installment, I will look at Ghana, one of the strongest teams from the African continent. Ghana have been drawn in Group G, largely considered the “group of death”, which also includes Germany, Portugal, and the United States, and they play their first match against the United States on June 16th. Several recent studies on talent identification looking at soccer as well as other sports, have indicated that, on average, between 35-50% of the players selected are born in the first 3 months of the year. While there may be several explanations for this fact, the most likely one is that coaches are identifying and selecting players who are chronologically “older” mainly because they are physiologically more developed (bigger, stronger, faster), rather than because they have more ability or talent. This selection bias towards physically developed players could very likely be unintentional. The problem with the “traditional” method of talent identification – especially when it is used with youth players between the ages of 10-17 – is that the rates of growth of players in these age categories can be variable. In some cases, a team with players born in a particular year can be 4-5 years apart developmentally. Unfortunately, players who are born in the later months of the year (who may be very talented, but developmentally behind the chronologically older players) can get left out of the higher levels of the sport at a very early age. At the National team level, no coach wants to be faced with the prospect that they have unintentionally diluted their talent pool by being biased towards players who are bigger, stronger, and faster at younger ages. When I worked as Fitness Coach with the Toronto FC Academy, one of the measurements we took on all players was a sitting height measurement (along with age, body weight, and standing height). Using all of this information, a value for each individual’s age of “peak height velocity” can be calculated. Peak height velocity represents the age at which an individual reaches his or her fastest rate of growth. When an entire team of players has been assessed for age of peak height velocity, the players can be categorized as “early developers” (age of peak height velocity 1-2 years younger than the average for the group); “average” (age of peak height velocity equal or close to the average for the group); or “late developers” (age of peak height velocity 1-2 years older than the average for the group. When we took these measurements with the Toronto FC Academy, myself and the coaching staff were very happy to see that players considered as “late developers” based on their age of peak height velocity were very prevalent in the Academy. They had not been cut from the teams, but rather, they had been placed in teams 1-2 years younger, to account for the physical and physiological differences in development. In the long run, this type of selection process will work much more effectively than the traditional method, because it will allow for “late developers” to catch up to their peers, which will typically happen between the ages of 17-20. Clearly, the Ghanaian youth development system is providing a pathway for players born in the later months of the year, who may be “late developers” based on their age of peak height velocity. 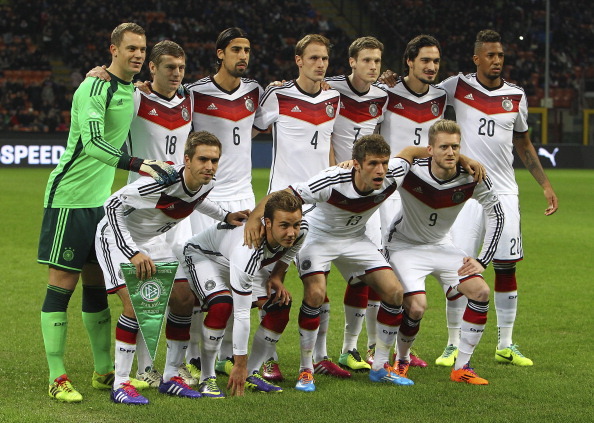 Have they selected the right team to take them out of the group of death? We will have to wait and see what happens in 3 weeks’ time. Great article I came across..I agree with most of it..let me know your thoughts! Because this is a World Cup year, I have decided to countdown to the tournament by providing a short soccer/fitness related preview of each of the 32 participating nations. In this installment, I will look at Nigeria, the current African champions, who have drawn a tough group that includes Argentina, Bosnia-Herzegovina, and Iran. The Nigerian team will play their first match against Iran on June 15th. If Nigeria are to get out of their group, they will likely have to win at least one of the 2 games against Iran (June 15th) or Bosnia-Herzegovina (June 21st). Their hopes of advancing, however, may all hinge on how they perform in their final group match, against Argentina on June 25th. That performance, in turn, will likely depend on how well they are able to defend one of the world’s best players, Argentina’s Lionel Messi. Can Omeruo and the Nigerian team get the result they need against Argentina and the other tough teams from Group F? We will have to wait and see what happens in 1 month’s time. When Did We Decide Kids Shouldn’t Suffer? Here is a great article I came across that really resonated with me. In my career I have encountered lots of people (athletes, parents, employees, volunteers) who have a poor work ethic and an unfortunate sense of entitlement. I wonder how much of those problems can be attributed to their upbringing. If you can get past the foul language, this article makes for a great read!